The Environment Agency will become the final organisation to move into the R-evolution @ Gateway 36 development. A lease has been completed on the final 22,002ft² unit, which will see a team of operations staff from the Agency move into the modern facility. The space will be used to help provide emergency incident response to the region from its new home at the M1, J36 in Barnsley. 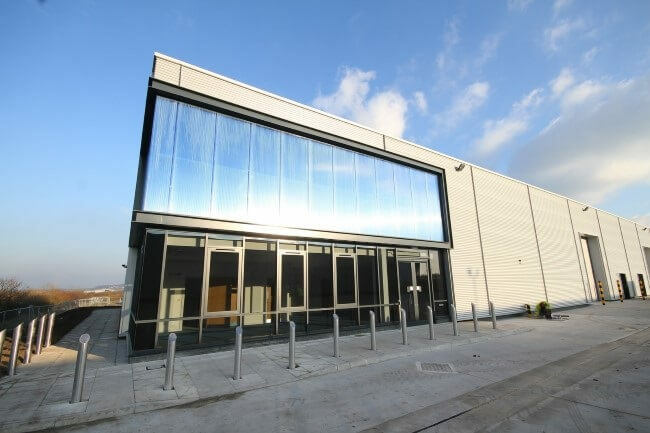 On moving to the new development, Gavin Usher, Environment Agency operations manager, said: “We are delighted to be leasing 22,002ft² of modern storage and office space from Barnsley Council at the new Gateway 36 development. “We pride ourselves on our partnership working and linking up with Barnsley Council further cements our relationship with the local authority. The Environment Agency is the final organisation to join R-evolution @ Gateway 36 following Swedish manufacturer Talurit UK and global manufacturer Esco GB Ltd. The 65,000 ft² site, is a high-quality mixed-use development supported by Barnsley Council’s Property Investment Fund (PIF). Established in 2014, the fund was created to help expanding local businesses and attract new companies to the borough. Cllr Roy Miller, Cabinet Spokesperson for Place, said: “We’re delighted to welcome The Environment Agency to Gateway 36, securing the final available space in the new business park. Tom Swallow, senior surveyor in the Sheffield office of Knight Frank, which is marketing the development, said: “This high quality development has proved the latent demand within Barnsley for established occupiers looking for this calibre of space and has allowed us to achieve a new headline rent in Barnsley.